PFC. Nelson “distinguished himself by intrepid actions” on May 31, 1969, while serving as a radio telephone operator with Company B, 1st Battalion, 52nd Infantry. On that date, the company was on a search and clear mission near Landing Zone Stinson when the point element came under intense enemy fire. Observing one of his comrades fall seriously wounded, Private Nelson, disregarding the danger involved, braved the enemy fire to assist in evacuating the wounded soldier. Returning to the area of contact, Private Nelson remained exposed to locate the enemy position. Despite the hostile barrage impacting all around him, Private Nelson located the insurgents’ position and then directed gunship fire on the enemy targets. At this point, Private Nelson was mortally wounded from the hostile fire. His timely and courageous actions were responsible for saving the life of his comrade and the defeat of the enemy force. Private Nelson’s personal heroism, professional competence, and devotion to duty were in keeping with the highest traditions of military service, and reflected great credit upon himself, the Americal Division, and the United States Army. According to Buddy R. Sadler, Cpl. Nelson was assigned to Bravo Company 1st Battalion 52nd Infantry of the 198th Light Infantry Brigade of the Americal Division. Sadler reports that the Daily Staff Journals of the 1st Battalion 52nd Infantry for May 31, 1969, listed the incident in which Cpl. Nelson was killed as taking place at 10:15 a.m. when Bravo Company received small arms fire. Leon Edward Barnard and Cpl. 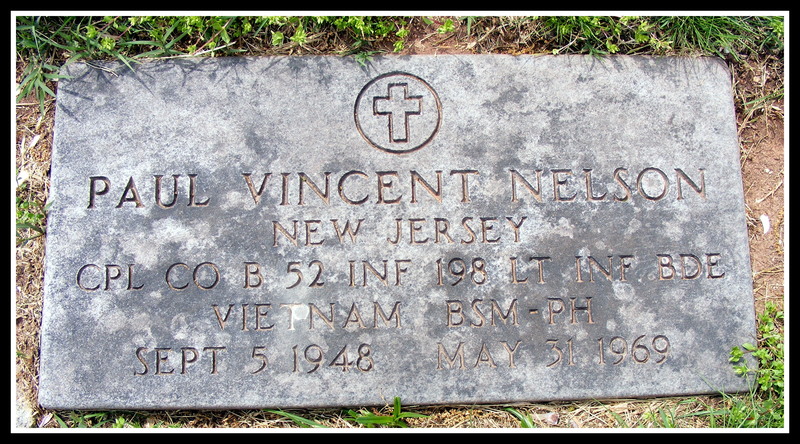 Paul Vincent Nelson were KHA (Killed, hostile action). Two others were wounded. The company was pinned down until final dust-off (helicopter) at 1:05 p.m. All casualties were taken to the 27th Surgical Unit at Chu Lai. As of April 2007, Sadler is trying to locate a picture of Paul, or contact his family. The veterans of Bravo Company will be observing its 3rd reunion on June 14-17 in Washington, D. C. Sadler will be giving a pictorial presentation of the unit's casualties and would like to be able to include a picture of Paul. (June 17, 1969) -- Pfc. 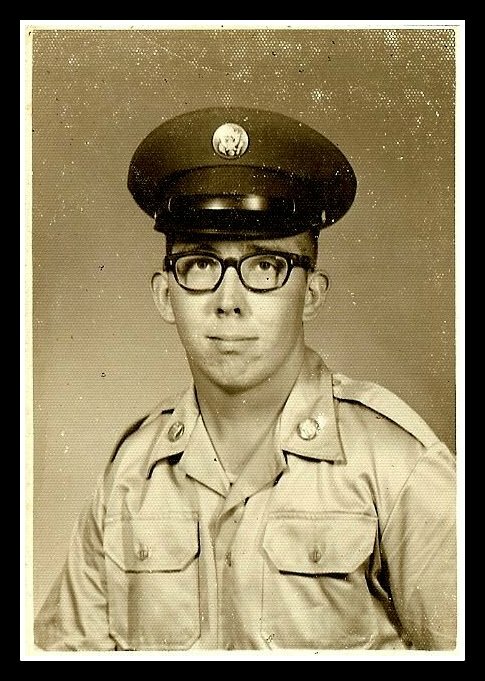 Paul V. Nelson, 20, of 132 William Street, was killed in action on May 31, in the northern part of South Vietnam, according to the Department of the Army. Pfc. Nelson joined the Army last June and had been in Vietnam for the last six months. 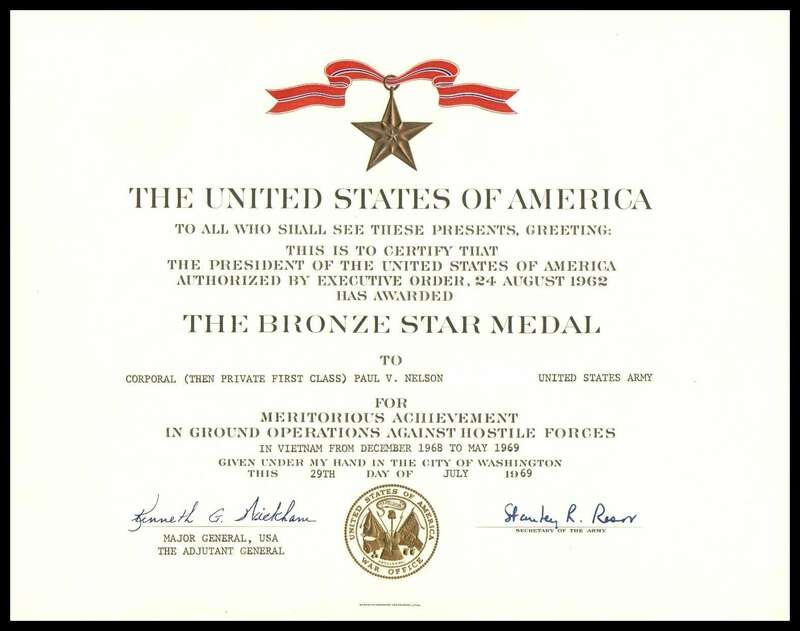 Posthumously promoted to corporal, Nelson was awarded the Bronze Star and the Silver Star. Born in Newark, he had lived in East Orange 13 years before moving to Belleville two years ago. Nelson was a 1967 graduate of East Orange High School, where he won a varsity letter on the school bowling team. He leaves two brothers, Edward Jr., with whom he lived, and Lawrence of Circleville, Ohio. Paul Nelson in buried in the Laurel section of Glendale Cemetery, Bloomfield, N.J.
Glendale Cemetery, Laurel section: Cpl. Paul Vincent Nelson, Co. B. 5th Infantry, 198th Lt. Inf., Sept. 5, 1948 - May 31, 1969.